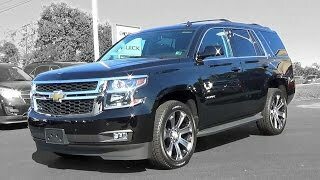 Chevrolet has revealed the 2015 Tahoe, best selling full-size SUV offering more functionality, greater refinement, new safety features and a range of advanced technologies. 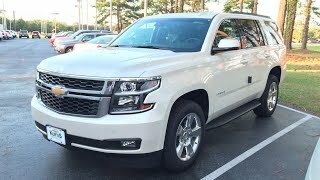 The exterior designs of the 2015 Chevrolet Tahoe is more refined and precisely sculpted. 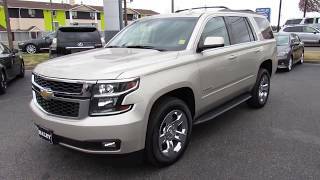 It comes with projector-beam headlamps with dual-port grille, high-intensity discharge headlamps, daytime running lamps, four-wheel-disc brake system with Duralife™ brake rotors and 18-inch wheels that are a half-inch wider. Twenty- and 22-inch wheels are available. On the interior it has a blend of sophistication with the use of premium materials and enhanced ergonomics. A new instrument panel houses an available eight-inch color touch screen radio with a secured storage bin behind the motorized screen. The compartmentalized center console is large enough to store a laptop or iPad. 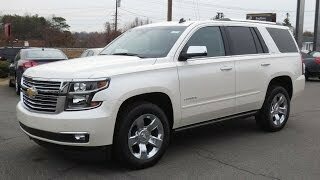 The 2015 Chevrolet Tahoe is powered by the direct-injected 5.3L V-8 EcoTec3 engine featuring state-of-the-art technologies. The engine operates in four-cylinder mode more often with Active Fuel Management, which increases efficiency. The engine is mated to a Hydra-Matic 6L80 six-speed automatic transmission, featuring TapShift control, Tow/Haul mode and Auto Grade Braking.